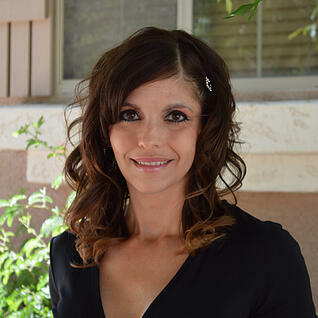 In today's Agent Insights guest post - Nicole Doty - broker / owner of Zion Realty in Arizona - gives real estate tips on how to help keep your buyers on budget as they go through the finance scrutiny that comes along with escrow. If you've been a real estate agent long enough - you've undoubtedly come across a buyer who is determined to blow the budget and exceed what they should be spending. As agents, we work alongside a buyers lenders - not only so we know they are a qualified buyer, but so that we also know what our buyer can spend. Of course, if we are working with a cash buyer - an up-to-date proof of funds will be needed to determine what the buyers limit is. After all of the financials and pre-qualifications are taken care of, the actual home search can begin. So you head to the MLS, plug in all of your buyer's search criteria and send them over a list of homes you feel will meet their needs. But... one factor that agents never had to contend with before is all of the various on-line home search websites that give consumers instant access to homes that are listed for sale. As an agent, you may have carefully crafted your list of available homes based upon your buyer's list of desires coupled with their available budget - but your buyer has other ideas! So what do you do when your buyer starts to text and email you addresses and lists of homes that certainly are great options and wonderful properties but there's just one small little problem... they're way over their budget! Begrudgingly, with their heads hung low, your buyers agree to view some of the properties you had selected for them - but one after the other, they are rejected and your buyers insist on viewing some of the properties they had sent you. So how do you keep them on track? Sometimes if a buyer is willing to go a few more miles outside of their initial search area - they can see a vast difference in the size of home they can get for the money spent. When you sat down for your initial agent/buyer consultation, you received information on your buyers wants and needs. If those wants and needs just aren't adding up to what they can afford, try and reconsider them together. Perhaps your buyers will be able to look through a more realistic lens now that they've seen what their money can buy. There are times when a buyer doesn't put all their cards on the table. Initially they'll tell you and their lender what they feel comfortable paying for and what they are able to afford as a down-payment - but it's not always the whole story. Your buyer may have more saved or may have the ability to bring more cash to the table than previously stated. This scenario doesn't happen often - but it does happen. If your buyer just doesn't seem to be finding a home they love in their initial price range, asking them if they are able to increase their down payment may be a solution. If you've been able to find a few homes that came in under your buyer's budget but had too many "fixer-upper" qualities for them to see the true vision of what the home could become, having a good contractor accompany you and your buyers to some of the properties could help. A contractor can walk your buyers through a home and give them a better perspective on what that diamond in the rough could be - then give them an estimated cost to show them upgrades can be done while still keeping them under budget. However you approach the subject with your buyers, trying to balance what your clients want with what they can afford can be tricky sometimes. But as a real estate professional - it's just part of the job!